Despite your best efforts, teeth sometimes need to be removed to protect your health. When we've discussed all other possibilities and you've decided on extraction, we'll take every step to help you. Your wellbeing always takes priority in any treatment decision. 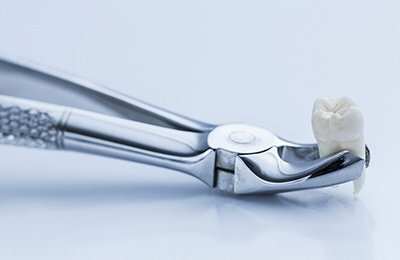 Some patients prefer sedation to help with oral surgery, and we can review these options in your treatment plan. You can trust we take every measure to make sure even minor surgical procedures are as comfortable as possible. Some teeth are removed more easily than others, but the ProSmiles Dental team takes pride in helping every patient get numb with modern anesthetics to start every procedure. Once anesthesia settles in, our oral surgeon uses specialized instruments to elevate the tooth out of place. You will receive specific post-operative instructions to help you care for the extraction area after your procedure, with prescriptions for any medications needed during the healing period. While our immediate concern is the short-term management of your care, we will also discuss your long-term plans for replacing missing teeth. Leaving a space is always an option, but spaces in your smile can create appearance concerns and functional challenges that are important to consider. Teeth are likely to slowly shift or migrate into open spaces, and minimizing the effects of an unbalanced bite can prevent issues later in life.